The multi-function shipping cart we ordered from Easy Rack has certainly simplified our shipping process. Everything we need to quickly package and ship products to our customers in on the cart. 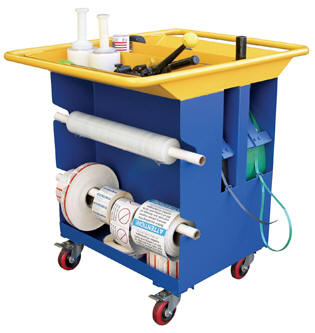 We particulay like the way tape, labels, shrink wrap, and strapping supplies are all in one neat portable package.